If you don't have the book, it can be obtained on Amazon.com (international Amazon sites as well). But, you don't have to purchase the book to stitch along. Of course, you'll be just relying on my photos rather than having the templates or other instructional help that this book (and the Volume I & II books) have to offer if that's the case...but that's okay by me, if that's good by you. I will be posting photos of my finished seams on this Shawkl Blog...but have also started a Facebook Group site. So, photos will also be posted there too. The difference is that members of the Facebook Group can also add their own photos to the group site. Just set up an album with your name so you can save your photos there on the group site. I've sent "invites" to many of those in my Facebook listings...but, well frankly, I'm not a huge FB person...so not everyone is in my listing of FB contacts. So, feel free to share the site address with anyone that might like to stitch along with us. At present I'm doing some Fall Cleaning..which is taking days instead of hours. But, I'll get down to constructing my blocks within a week or so...and then can being the actually stitching. So, I'll set a planning date of 1 November as the first posting date of the first stitched seam from the book. I'll post a seam each day...and look forward to stitching all 500 of these with you! Hi! I tried to join the facebook group, but it says it is a closed group and it cancels my request. Maybe you need to do something on your end. 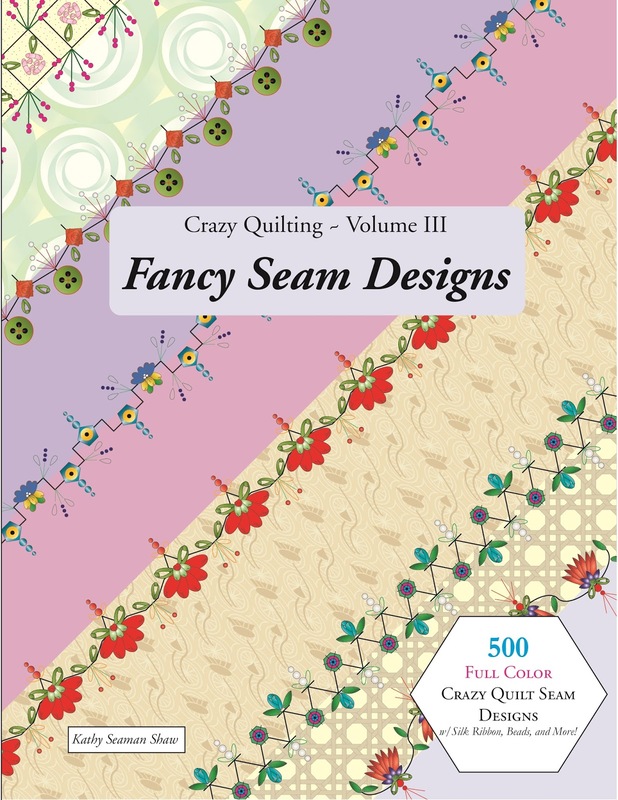 Would love to join-- love crazy quilting and want to follow along. Will follow blog posts but FB jogs my memory to keep up! Thanks!